The question we get asked most frequently is how to download books onto a new device. First, you should make sure you have used the same iTunes ID to download the app to your new device. Then, click on 'Restore All' at the top left in the Bookstore. That should download all the books you own (that are not already installed). Below are some helpscreens, to give you a quick overview of what the app can do (click on the thumbnails to see the full-size pictures). 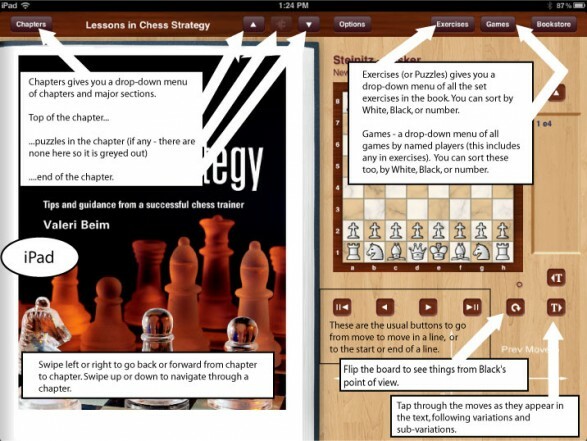 You should read the e+Chess Guide in your app too!